Over time, carpeting gets loose with age and natural wear and tear. It can also happen if the carpet was not well installed. You may begins to see ripples in the carpet or edges that have come away from where they were originally attached. This looseness is not only a tripping hazard, it also leaves the carpet vulnerable to tearing that is more expensive to repair. 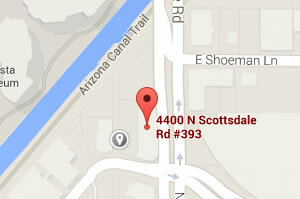 Magic Touch Carpet Repair offers affordable professional carpet stretching in Ahwatukee and the surrounding areas. Our certified carpet care professionals have the expertise to stretch your carpet to just the right size. It needs to be done to precision, otherwise the carpet will still be too loose or it will be stretched so tight that it causes stress on the seams. Our stretching is just right to allow for some give without overestimating the tension. You want to take care of loose carpet sooner than later. It is a common and affordable repair, however, when something catches on the loose carpet and rips a tear in it, then the repair becomes more involved and costly. Call us as soon as you notice your carpet is getting loose and we will come out for a free, no-pressure estimate. After the carpet has been stretched and trimmed, we secure it so that it will stay in place for years to come. We guarantee our work, so you can feel confident you have made the right choice when you call us for your carpet stretching. As a locally-owned business, we stake our reputation on the quality craftsmanship we provide, one project at a time! We are affordable, friendly, fast, and committed to offering quality work, every time! Call today for your free estimate on carpet stretching in Ahwatukee and get it fixed before it gets worse!